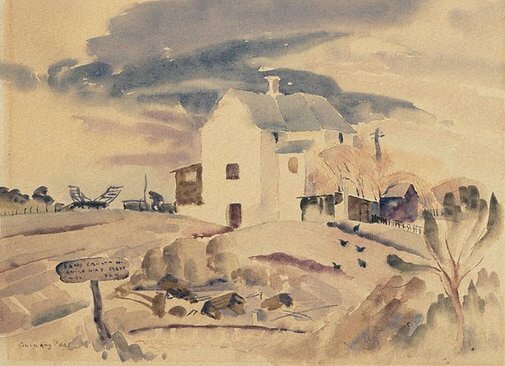 'Corkhill's farmhouse' painted on the Molonglo River, Canberra, 1944 was produced in direct response to nature at a time when I was living in the country by government arrangement - and feeling 'at home' there. Nature at this stage involved the identities of things in space, conditions of light (season, weather, mood) and place. 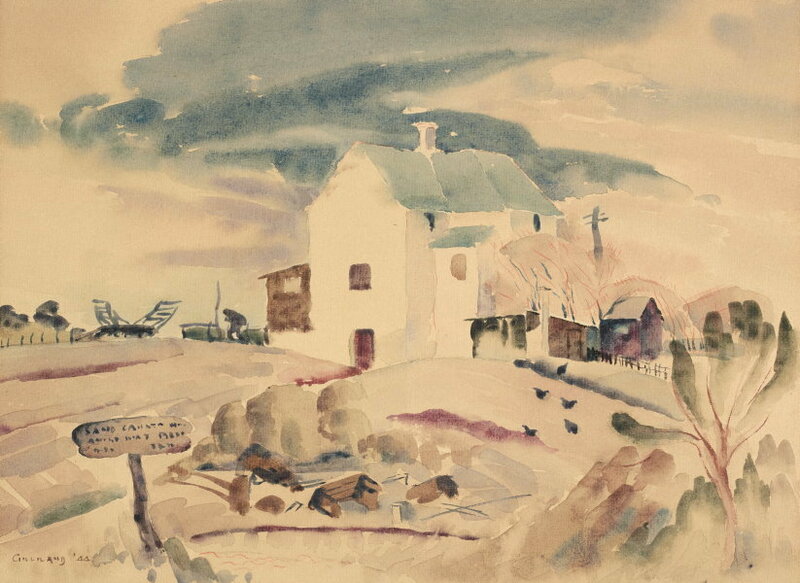 However, an awareness of intimacy through contemplation was the impetus; and attention to the qualities of watercolour imposed some sort of discipline. As a self-taught-weekend-painter (my art school training was in life drawing and a little etching) I was not painting much in oils. For many practical reasons watercolour seemed to be the convenient medium at the time. Hindsight indicates that it was the appropriate medium, because its transparency and range of density implied space as such and, along with its fluidity, was in accord with my perceptions of nature. Signed and dated l.l., "Gilliland 44".